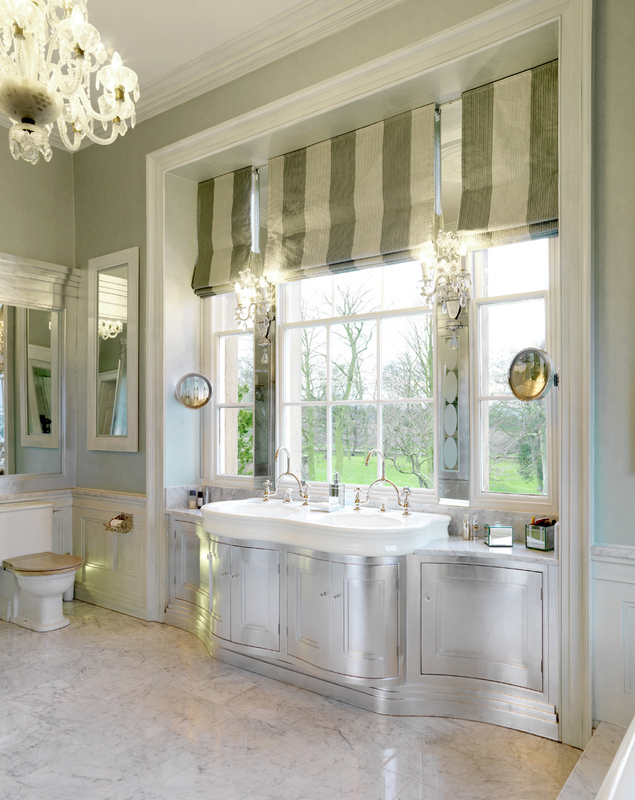 In this complete renovation, we created an impressive corner location bathroom by combining a smaller bathroom and a box room – allowing the room to benefit from dual aspects of the commanding views. 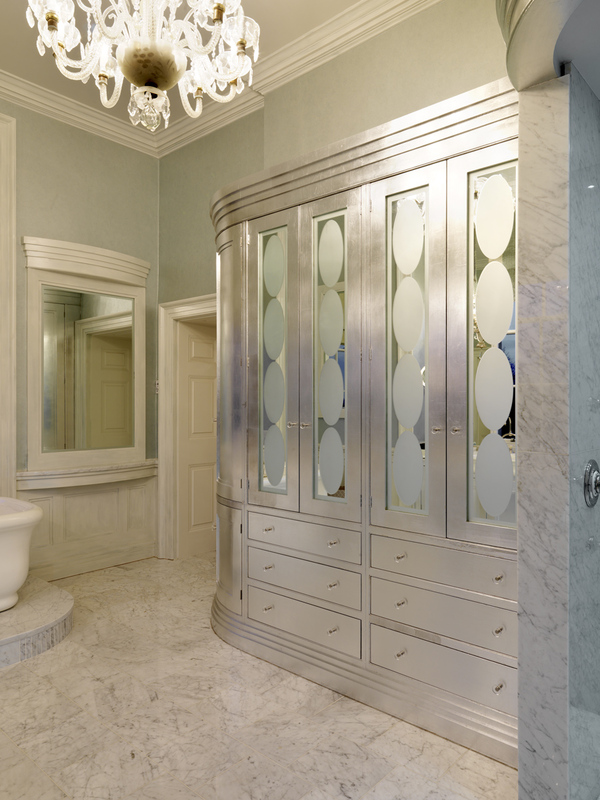 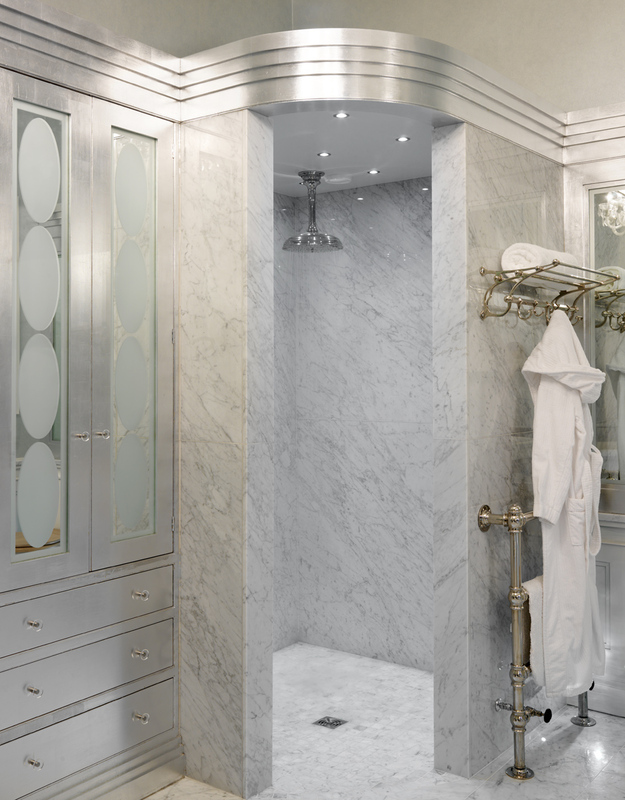 Aluminium gilded bespoke wardrobe and vanity units were used to complement an antique French bathroom suite, creating an atmosphere of bathing grandeur and luxury. 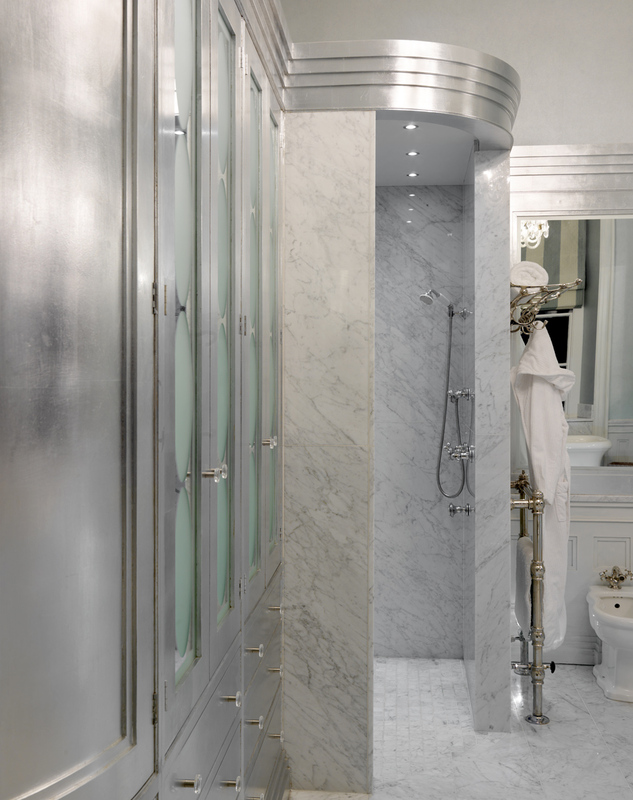 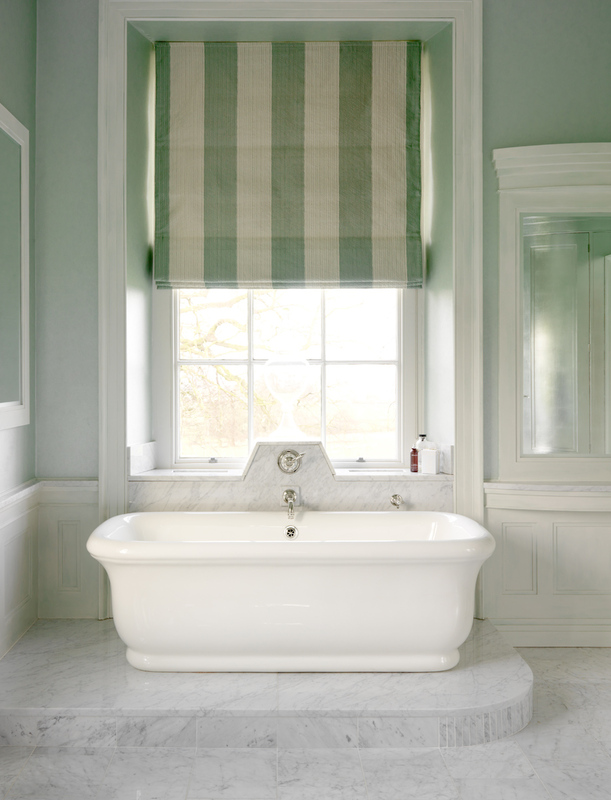 Under-floor heating was fitted throughout (including the shower) to ensure that the marble was always warm to the touch, with antiqued mirror finishes to add extra light and drama.